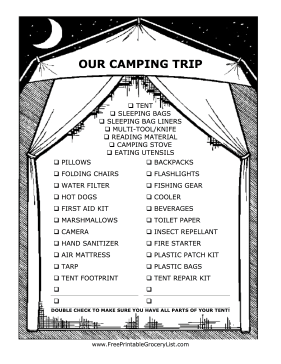 This camping packing list is perfect for a camping trip with the whole family. Kids will delight in checking off items like sleeping bags and hot dogs as you prepare for your trip. Scouting troops can even send these lists home with families for group camping trips!